Contact me via this handy form. 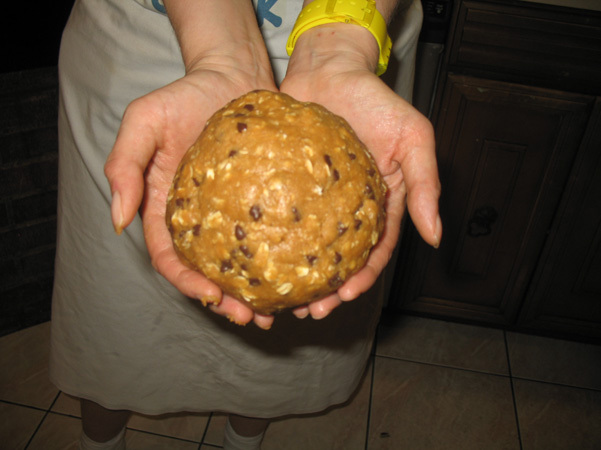 This is a blog about healthy baking, with occasional dips into decadence. Hi — I’m Laurie. I started this blog when I realized I was actually baking 5-6 times a week. A whim had turned into an obsession, although it’s kinder to think of it as a hobby. Isn’t it? My misson: to lighten things up and bake healthier, since I’m making most of this stuff to eat for my own breakfast. I use yogurt a lot and it actually makes baked goods fluffier and better. It also makes it less of a crisis when I can’t keep my paws off my own creations. I make a lot of mistakes, and quite a few spills, and even when something tastes good, it usually looks funny. But I scour Pinterest and food sites & blogs looking for recipes to play with, and then I chronicle my adventures here as I adapt them. You can learn from my mistakes as well as my triumphs. I’m clumsy, and I post my disasters too. I don’t know why I’m obsessed with baking. I have a career I enjoy, I have two kids, I have a fairly busy life and I’m lucky enough to have a wonderful husband who does all the cooking. But come evening, or a slow-ish sort of weekend afternoon, there I am in the kitchen with mixing bowls, whisks, and measuring cups, and my flour-covered apron. Sadly, I’m a complete amateur when it comes to photography. I bought myself a Canon Rebel, and I finally took a photography class, but I’m still struggling with bad lighting and clunky set-ups. (I also do most of my baking at night.) I’ll get better, though. My new tripod is helping a lot and so is the Photoshop tutorial my friend Martin gave me. Just to give it a touch of the crazy — in case baking 5-6 times a week doesn’t cover it — I’m on Weight Watchers. I’ve dropped the weight I needed to, but I don’t want to gain it back, so I focus most of my efforts on nutritious, low fat, healthy fare. I also stay away from mixes full of preservatives as well as desserts that involve stuffing chocolate bars into cookies and then into cakes. One dessert at a time is fine by me. Although I adore food, I’ve been a fussy eater my whole life, so it’s a gift to be able to make decisions about what should go into recipes and what should be left out. Food without fear! It’s a wonderful thing. I like to think I’m getting braver with my choices as well. And for fun (and a bit of cash to offset ingredient costs), I now have a twice-monthly recipe column in our local paper, alongside fun headlines like “Local Teachers Welcomed Back To School With Brass Band” and “Clock Tower Shrubbery Pruned”. I’m obsessed with Pinterest. I store all my recipes there, whether it’s things I’ve made, things I want to try, or things I want my husband to cook. (Visit my Pinterest boards.) I also visit foodgawker daily. I made your cinnamon apple cider muffins. I needed a healthy muffin using wheat germ and apple cider. They turned out delicious!! And the texture, so tender! I look forward to baking more of your healthy recipes. Today I was hoping you had a wonderful pancake recipe for Shrove Tuesday, but I didn’t find one. I’m so glad you liked them! Sorry, no pancake wisdom to offer. I received your delicious cookies in the mail and I wanted to thank you so very much! They are wonderful and my roommates and I have already eaten almost all of them (oops!). Beautiful work, and thank you again! Hi Hannah! I’m so glad you liked them! Yay! I hope they survived the journey well. Happy holidays! Eat cookies! Find your writing so fresh, unpretentious and helpful. I too like to swap out ingredients. Just baked banana oatmeal muffins yesterday and swapped the sugar for molasses since it has nutritional value. Also added ground hemp–a new find and rich in omega threes. My picky “no nuts in anything” teenager didn’t notice at all! Thank you for all the great info. Can’t wait to try the chocolate zucchini muffins. Thank you so much, Suzanne! I have never tried swapping sugar for molasses and I’d love to see your recipe. I tried hemp once but it smelled like dirt and had the same effect on the flavor. How much did you use? You’ll love the chocolate zucchini muffins. Hi Mary Beth! I’m so glad you like the blog. I have an RSS feed but right now I don’t have an email newsletter. I do have a Facebook page, though, and I post new entries there, as well as on Pinterest. Thank you for the delicious #fbcookieswap cookies! I’m so glad you liked them! You’re welcome! Hello!! I just wanted to thank you for sending me some yummy cookies. I’m so glad you enjoyed them!!! Happy holidays!